This little adapter fits inside the Motion Pro Tire Lever/Wrench Combo tool (Tip #5) turning it into a 3/8″ drive socket wrench. You can purchase an adapter to work with the 24mm, 27mm or 32mm wrench sizes. 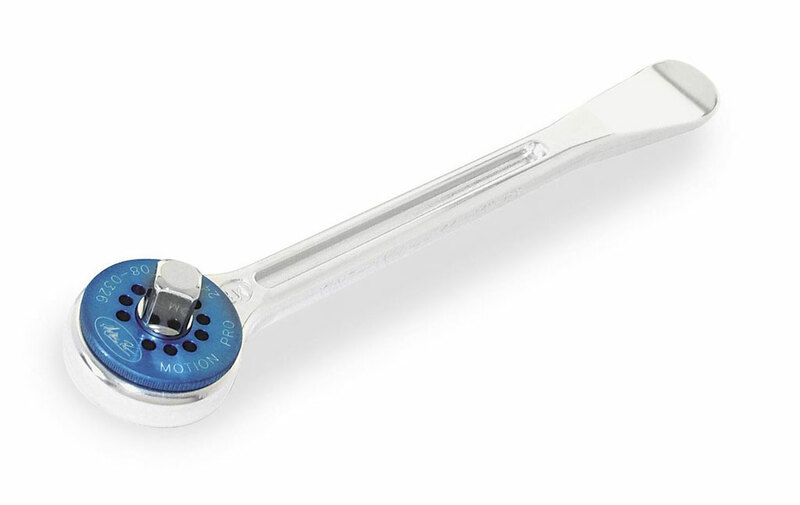 The combination of the two tools creates a very strong socket wrench that you can apply a lot of leverage with. The adapter snaps in snug so it won’t fall out. It doesn’t have a ratcheting mechanism, but works well for loosening and tightening larger bolts. It’s a great companion tool for Tip #7 as well.